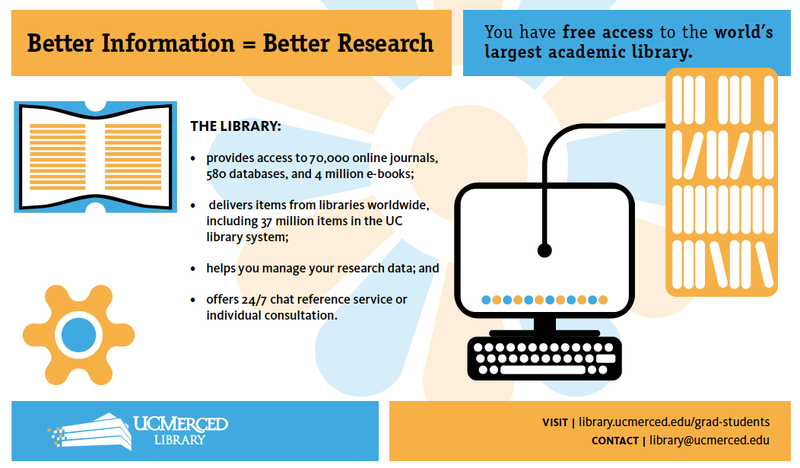 Welcome to the UC Merced Library. We offer resources and services intended to support your research and teaching needs. Explore this guide for an overview of what is available to you as a graduate student. Please contact us with any questions.